The order has been placed for $1200 to be added to Visa on Tuesday morning. Visa is my favorite high quality high growth company. The credit rating and financial safety is very high. They operate a very high margin business as the middleman of all cashless transactions in today's modern society. In the future I believe everybody will move to cashless transactions. Who likes to carry bills and coins anyways. 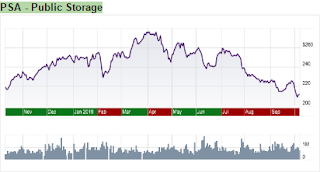 Visa has incredible earnings and dividend growth prospects and in my opinion Visa is rather recession resistant. 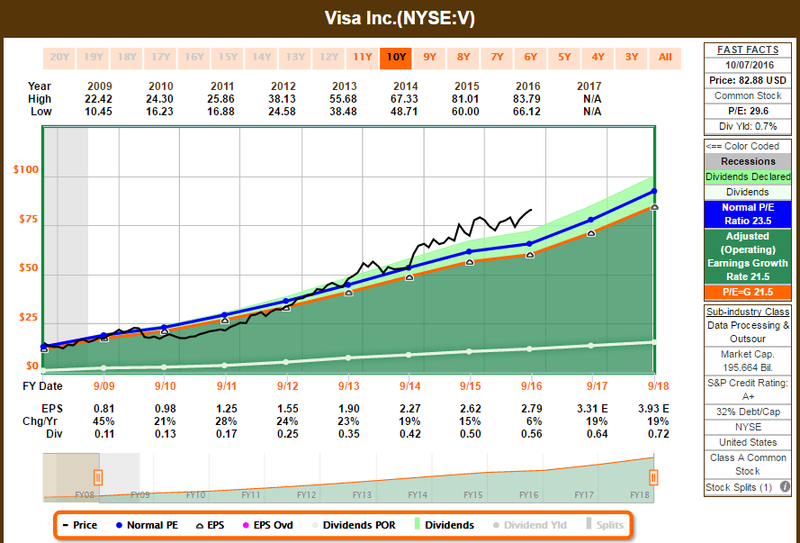 Looking forward, I find Visa of good value right now even though it's hitting new highs. For those that don't need the yield right now and want a forward looking champion, Visa is best of breed. I will also be having around $3000 in cash settled into my Roth IRA later in the coming week. I am preparing for further declines in REITs and am eyeing Realty Income (O) right now. Other names include Public Storage (PSA) and NNN. 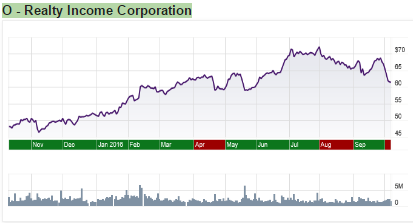 I really like PSA because they have virtually no debt and for a REIT that is rather extraordinary. PSA has the highest credit rating and financial security rating of all the REITs I follow. PSA will be less affected by the rise in interest rates than others REITs like O.
PSA has already corrected significantly. O is one of the few hanging on the best during this REIT correction. If O continues to drop that will be my likely usage of that $3k. O, in my opinion, is best of breed and well diversified. Whereas PSA is only in the self storage business. I always prioritize tax unfriendly assets in my Roth IRA first and this includes REITs. My non-retirement account is all regular C-corps and my dividends are taxed at a 15% rate right now.